I wanted to share the last week's watercolor project. 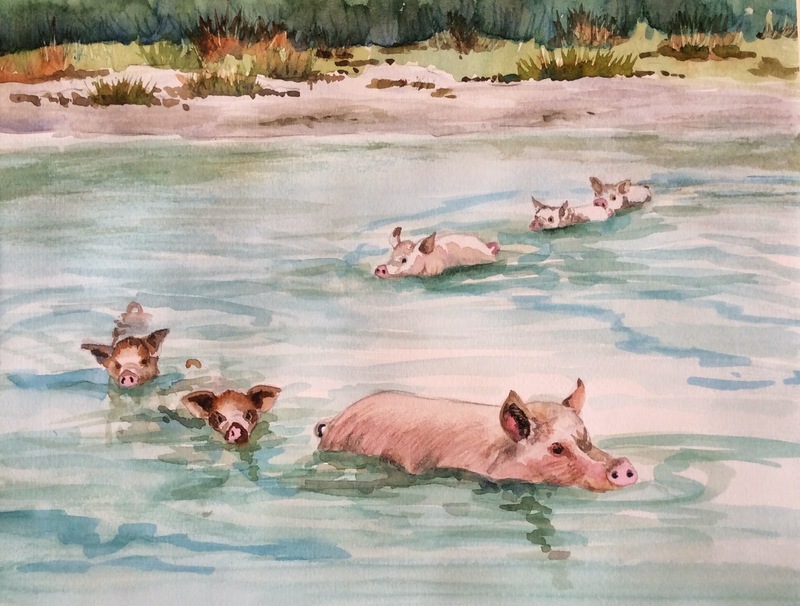 The pigs are swimming. One of my dear students brought in a picture she took while traveling in Exuma (I think). She said that when the boats come to dock, the pigs (wild I believe) from the small neighboring islands swim over to the boats for a few tasty handouts. We all laughed through the entire class. I can make copies if anyone wants one.